Keck Graduate Institute (KGI) was founded in 1997 as the first higher education institution in the United States dedicated exclusively to education and research related to the applied life sciences. KGI offers innovative postgraduate degrees and certificates that integrate life and health sciences, business, pharmacy, engineering, and genetics, with a focus on industry projects, hands-on industry experiences, and team collaborations. A member of The Claremont Colleges, KGI employs an entrepreneurial approach and industry connections that provide pathways for students to become leaders within healthcare and the applied life sciences. Please help the Class of 2019 reach their goal to raise $2,019.00 for the Student Success Fund. 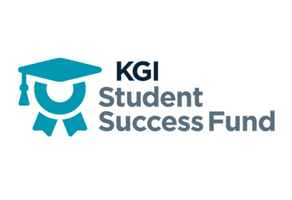 Will you contribute to the Student Success Fund and make it possible for every KGI student to reach their goals? Connect with other KGI'ers on GiveCampus! #KGINow - Giving Today Campaign! KGI 20 for 20 Trustee Giving Challenge!